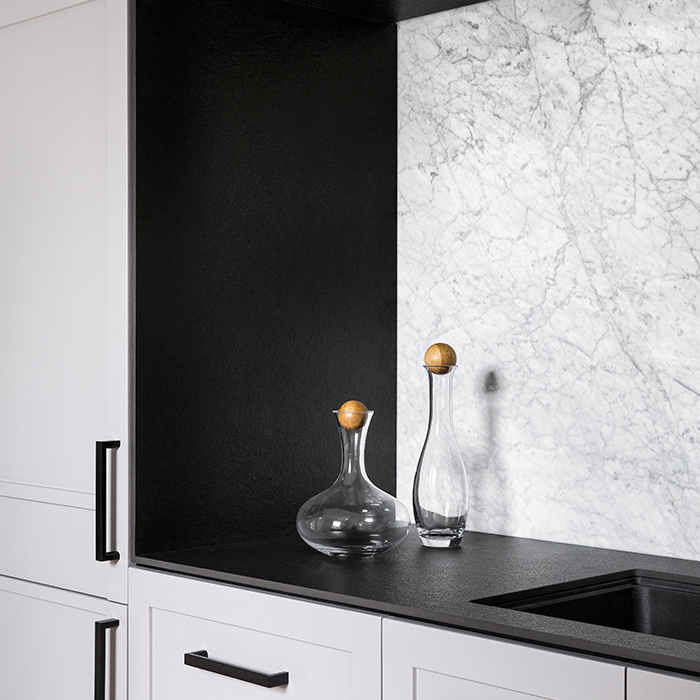 Neolith Nero Zimbabwe and Bianco Carrara Marble, available at CDK Stone. 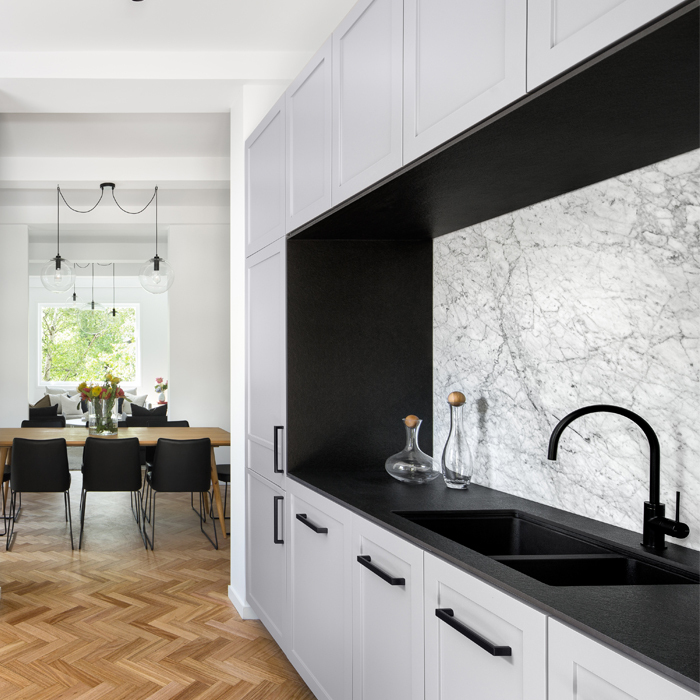 Designed by Tallis Architecture, this contemporary, clean design features Neolith Nero Zimbabwe and Bianco Carrara Marble from CDK Stone. Drawing inspiration from natural African granite formations, Nero Zimbabwe incorporates matte black tones with grey shading, creating a touch of elegance. Coupled with this, Nero Zimbabwe creates the illusion of depth with the rough and raw Riverwashed finish. 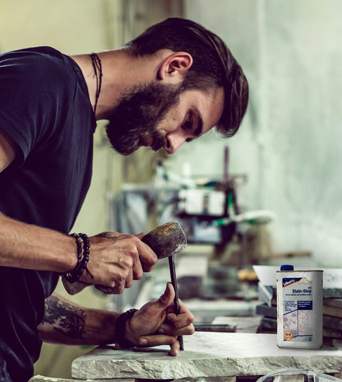 Providing a work of art, Bianco Carrara Marble is a timeless classic that adds contrast to this design. 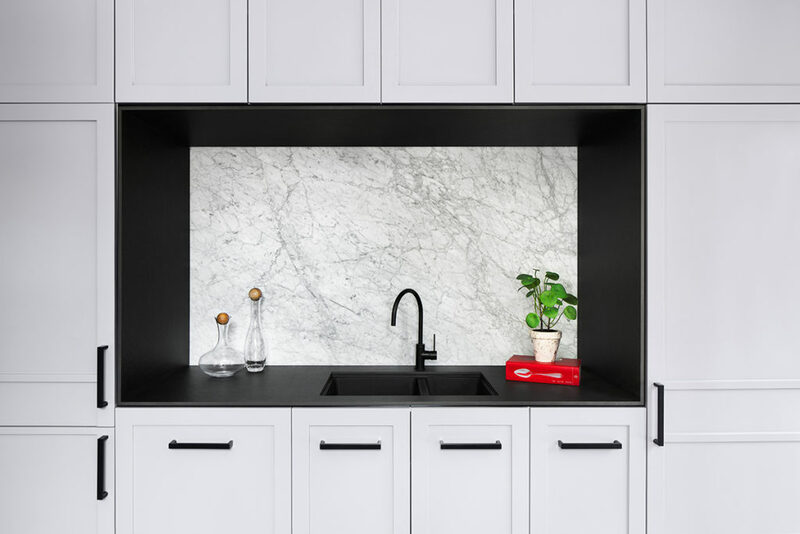 Highlighting the power of grayscale, the synergy between Neolith Nero Zimbabwe and Bianco Carrara Marble reverberates an sophisticated aura throughout this space. This contemporary design highlights the extensive design possibilities of Neolith!